The Great Gift Pile objectives are turning out to be a mix of quick and easy tasks and longer, more difficult challenges..
Atom Zombie Smasher: KringleJammer was fairly easy to get, as was the Rock of Ages: Snowball War. Audiosurf: Candy Stripe required only the collection of red and white blocks in a line, but it took me a while to find something on my PC that played at the right pace to generate the blocks I wanted. “Still Alive” was giving me blue blocks, so wouldn’t do for this! 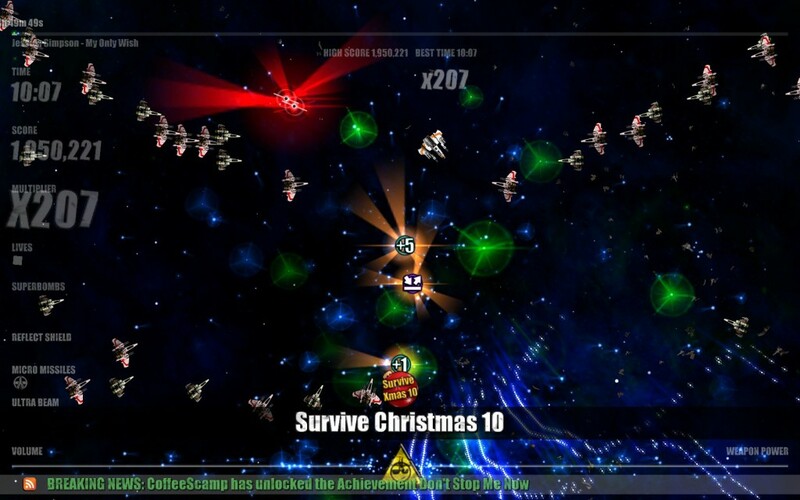 Beat Hazard: Survive Christmas 10 required me to survive for 10 minutes.. and it took far longer than that! After several attempts of under five minutes each, I realised I had unlocked some perks which might help: the Ultra DLC added Micro Missiles and a Reflect Shield which just about let me last long enough to complete the objective. I did win one game via the giveaway.. Silent Dreams’ Grotesque Tactics: Evil Heroes, a fantasy role-playing game with strategic combat and a sense of humour. The games in this giveaway are provided as a token, which can be added to your own inventory or traded.. so if you already own the game you win, you can give it away or trade it for something else. The Steam sales are ongoing, and I also picked up ACE Team‘s rather Monty Python-esque Rock of Ages, mentioned earlier, and Croteam‘s Serious Sam HD: The Second Encounter, and Serious Sam 3: BFE, with the first two games below £2 each, and Serious Sam 3 at a reasonable price, considering I wanted a copy for me and a copy for Tim. 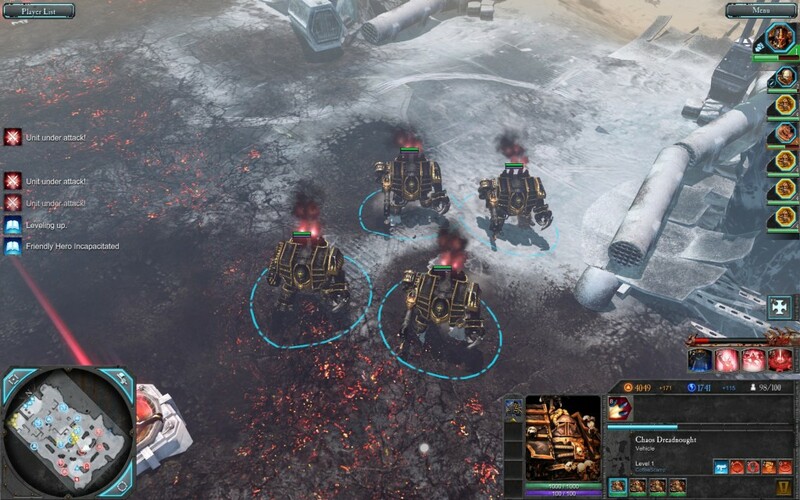 December 29th, 2011 | Tags: ACE Team, achievements, Atom Zombie smasher, Audiosurf, Beat Hazard, Candy Stripe, Chaos, Croteam, Dawn of War II, DEFCON, deliberate loss, DLC, Dreadnought, fantasy, Fate of the World, global thermonuclear war, Great Unclean One, Grotesque Tactics: Evil Heroes, KringleJammer, Let it Glow, Micro Missiles, Minmax Games, Monty Python, nuke, objectives, Retribution, Rock of Ages, RPG, sales, Santa, Serious Sam 3: BFE, Serious Sam HD, Serious Sam HD: The Second Encounter, Silent Dreams, Snowball War, Space Pirates and Zombies, SPAZ, Steam, Survive Christmas, The Great Gift Pile, Ultra, Valve, vouchers, Warhammer 40k, Winter Assault. The Warhammer 40,000: Space Marine Race! 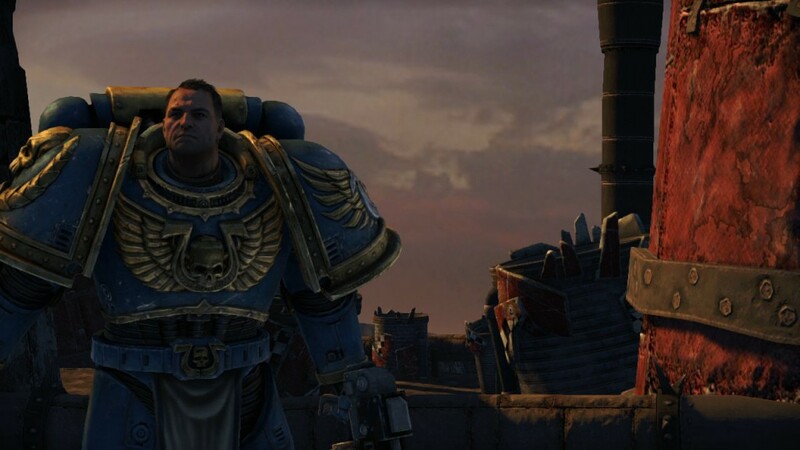 So Relic’s Warhammer 40,000: Space Marine has finally been released, allowing players to take the role of Captain Titus, a genetically modified superhuman clad in several tonnes of power armour.. 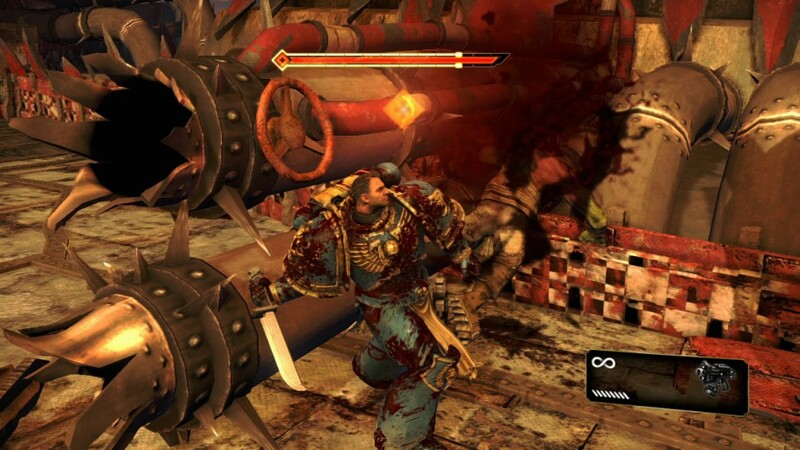 The story: Orks have invaded an Imperial Forge World, and Captain Titus is sent in with his Ultramarines to hold key locations until reinforcements arrive..
Health is regained by performing an Execute move; this becomes available when you have stunned an enemy. 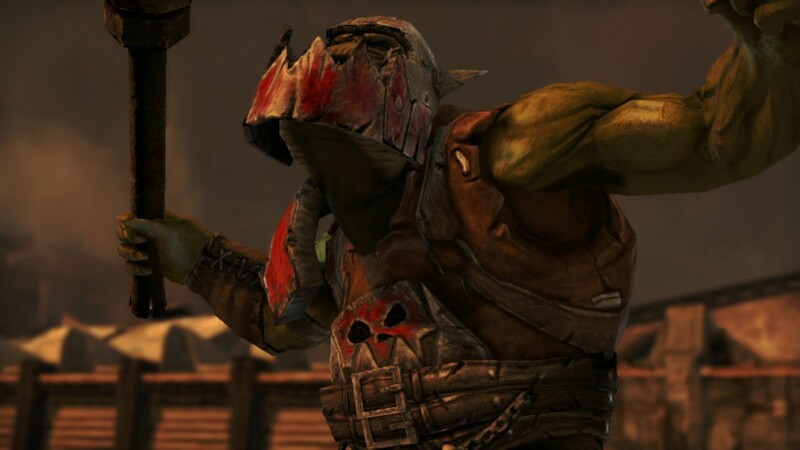 This meant staying in the fight where you’d normally have to duck out of fire to let health regenerate.. and it transformed the smaller Orks into health pickups! Stomping through the Orks let me take a very short lead over Tim, too! 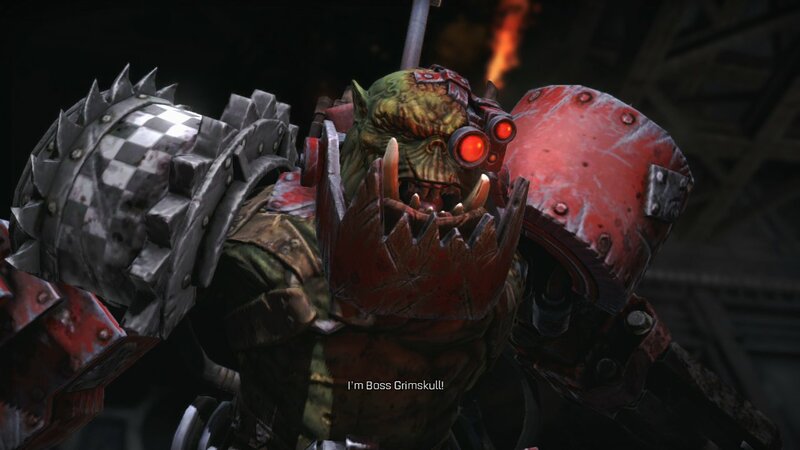 They also had an Ork problem, which I was more than happy to help with! At the end of the first run through the trenches, I came across my first Nob, who I found difficult compared to the previous carnage. Repeated attempts on this enemy meant that Tim got ahead in our race.. and he stayed ahead while we were helping the Imperial Guard and their leader, 2nd Lieutenant Mira.. blowing some stuff up, killing some more Orks, and being given some nice new weapons; the Stalker Bolter and the Vengeance Launcher! As the Orks had captured a gun emplacement, that was one of our targets.. this involved sticking explosives to one of the massive shells and pushing it into the loader, so that it would blow up the gun. Following the shell up, we found the Orks had spotted and removed it..
We fought our way to the weapon with plans to turn it on the Orks, through hot turretty death thanks to a security system which couldn’t distinguish us from the green-skinned fungus.. but firing the weapon unleashed the forces of Chaos! 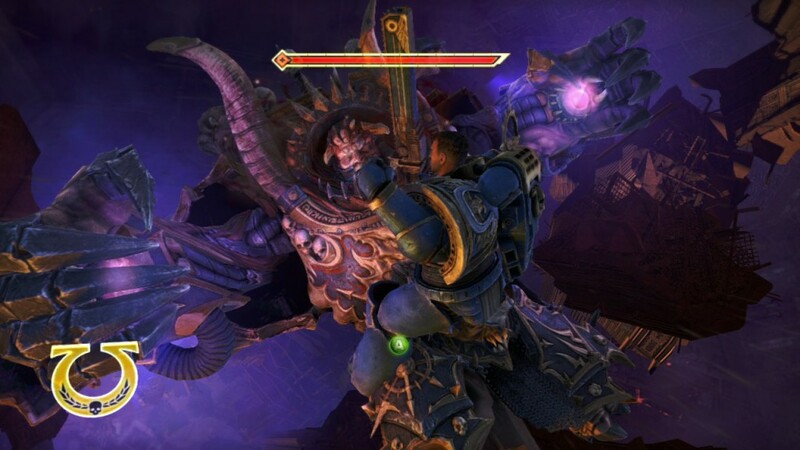 Next up was destroying the Spire and the Chaos Warp.. via the awesome Imperial Titan which we’d seen before. 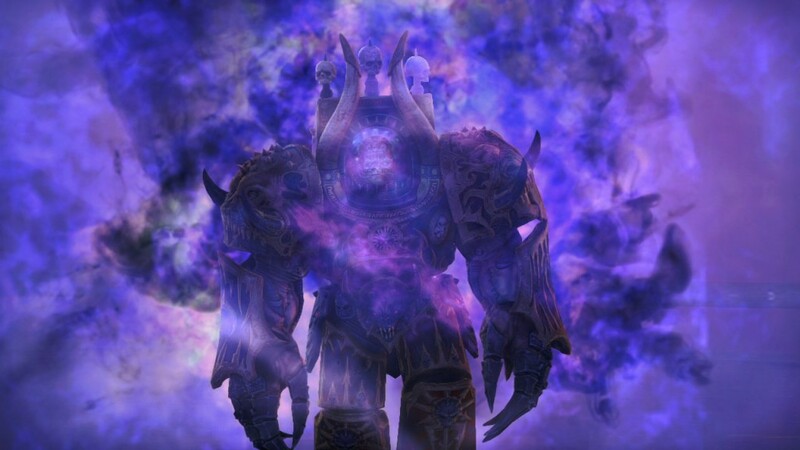 On the way to it, I met Grimskull again..
After the Spire was destroyed, Nemeroth made another appearance, killing Sidonus and claiming the power source.. which he would use to become a Daemon Prince! There was another session with a jump pack next.. I love that thing.. and I managed to misfire myself through a hole in the ground at one point, but overtook Tim again.. only to lose ground in the next section and end up behind again. I enjoyed the last fight despite the use of quicktime.. probably because they were the buttons as I would have been hitting anyway. 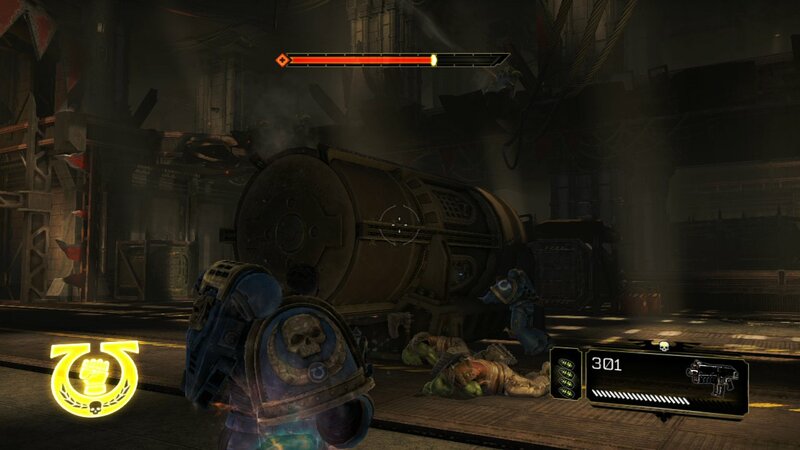 September 11th, 2011 | Tags: Captain Titus, Chaos, Dawn of War II, Nemeroth, Orks, Relic, Space Marine, Warhammer 40k.